NE Ohio Basketball fans! Join the Akron Aviators for our Season 2 Home Opener versus the Lacrosse Showtime. All ages welcome. Doors at 6:30 with 7pm tip-off. 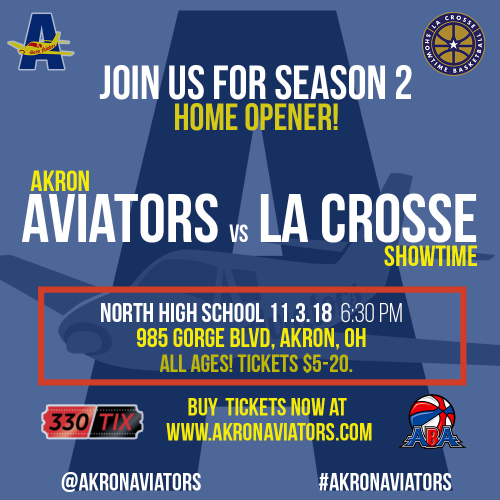 Join the Akron Aviators for our 2018-2019 Season Home Opener against the La Crosse Showtime from La Crosse Wisconsin. We faced them in our season opener as well but went 1-1 with them so we need your support to cheer us to victory! Come see tomorrow's stars Today in an exciting game with music, food, family fun, and of course Great Basketball! 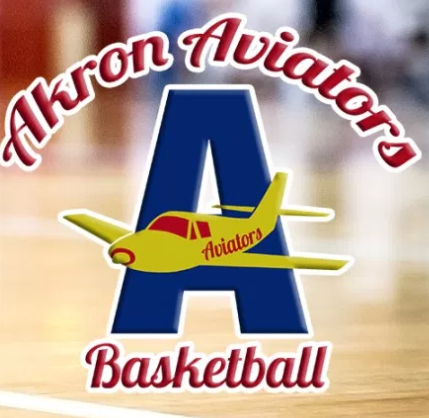 *VIP TICKETS* Enjoy the game in the first 2 rows behind the bench in your complimentary Akron Aviators T-Shirt (Adult Sizes: S-2x), and a food voucher for 1 drink and 1 snack.